The banana bread has been there since the beginning. It’s everyone's favorite. To make the bread vegan use 2 flax ‘eggs’ and coconut yoghurt. In a mixing bowl mix on medium speed the first 4 ingredients together till it becomes one smooth mixture. Mix in the yogurt and the shredded coconut. Fold in the last ingredients, it’s important not to overmix the last step. Grease your baking tin and pour in the banana bread mixture. We use a small cake/bread tin (18cm) to make it rise high, but any size will work. Let it rest for 10 minutes and put in a preheated oven, 170-190 celsius for 60 minutes. We do our best to make something for everyones taste and needs. Plenty of gluten free and vegan options. Some are healthy and some are the real deal. Everything is homemade, made with the best bio products. Our best seller is our banana bread! We are proud to serve and work together with Blommers, a roastery from Nijmegen. Run by two brothers who have a real passion for excellent coffee. On the Mythos Grinder we have an espresso blend from Ethiopian and Brazilian beans. We also serve filter coffee made with a v60, we always have a single origin Ethiopian bean and one different one every now and then. 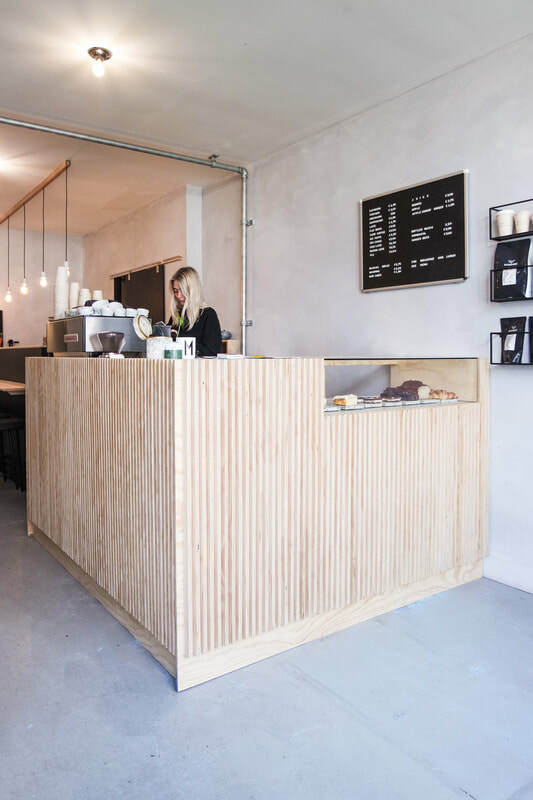 After an endless dream about opening their own coffee bar in december 2015, the sisters Annemarie and Sophie, started Mica. "We talked about it for hours, brainstormed, got inspired while living in Copenhagen. We both have a background in hospitality, love to bake healthy food and a passion for good coffee".